See the benefits and how to enroll! ASNC's esteemed peer-reviewed journal, Journal of Nuclear Cardiology (JNC), achieved a new high when the Journal Citation Report (JCR) released its annual impact factor reports. 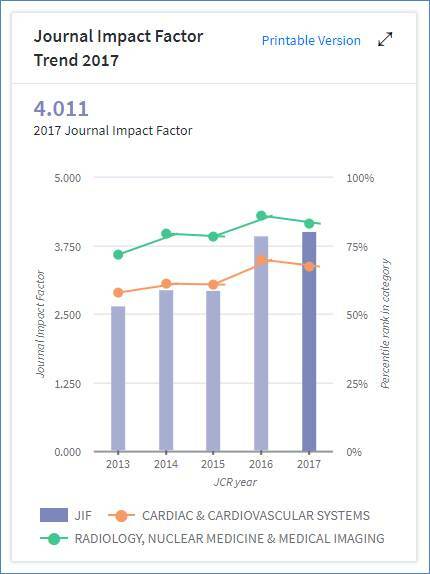 JNC's current impact factor is now at the highest in its history and is rapidly climbing the charts in two journal categories. The impact factor is the publishing industry's key metric, as it ranks journals based on how often their recent publications are cited. In the highly competitive medical journal arena, the impact factor is a signal of how journals are advancing their field and garnering the attention of specialty researchers. 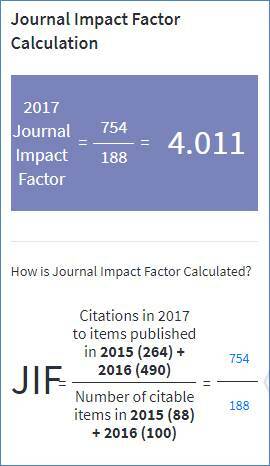 JNC's 2017 impact factor is 4.011, up from its 2016 score of 3.930, announced Editor-in-Chief Ami E. Iskandrian, MD, PhD, MACC, MASNC, who credits the accomplishment to his team, who have their pulse on the needs and interests of the cardiovascular community.